Happy Friday, let’s do the Friday dance!!! 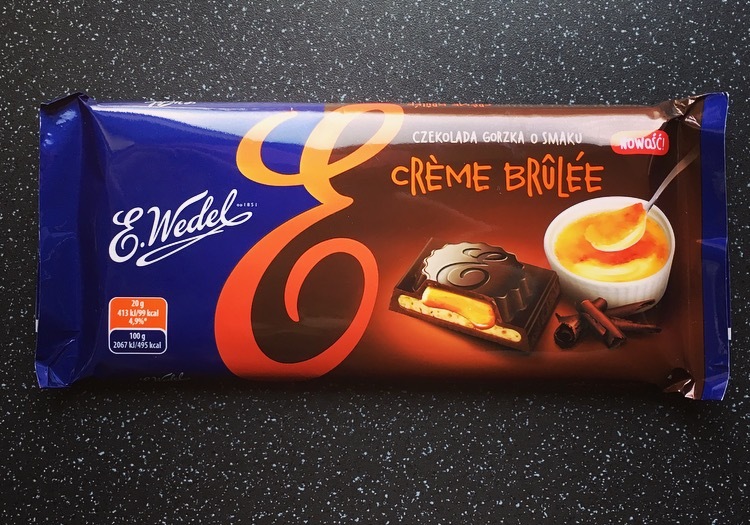 Today we have crossed countries and scooted over to Poland with this E Wedel Crème Brûlée Bar. I have never seen or heard of this make but do know Lindt do an incredibly delicious Crème Brûlée Bar and given I picked this number up in Asda for a bargain price of 99p I thought heck lets give it a whirl. Squares of choclate topped with a little dome and swirl pattern, the squares were considerably bigger than general chocolate bars. 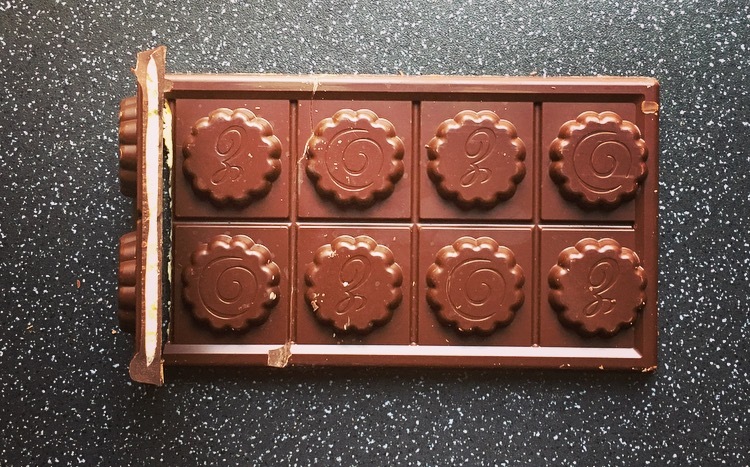 What is this bar, well I like the simplicity of the description – Dark Chocolate with Crème Brûlée flavour filling, no beating around the bush here. 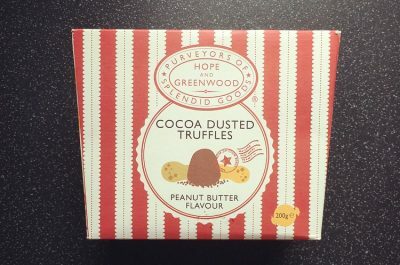 The chocolate tastes of actual chocolate and not some cheap knock off, it is smooth, not too sweet, not too bitter and has a good snap factor to it. It’s not dark chocolate that we are used to and without reading the packet it wouldn’t have been obvious. Embedded inside is a pale whipped up creamy nougat type filling, with tiny bits of crunchy caramel pieces which is topped with a thick caramel paste, not quite the oozing number that is on the front of the packet. 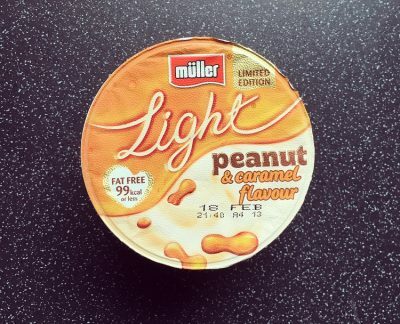 The creamy filling was a little lack lustre in the taste department but the caramel paste and crunchy pieces makes up for it. Nonetheless the chocolate, filling and caramel works very well together. It’s borderline Crème Brûlée in that it has used the elements that make up a Crème Brûlée but I wouldn’t go as far as to promote it on a wrapper. I wouldn’t buy this on the premise that I wanted a Crème Brûlée bar but I would buy it again simply because it is rather darn delicious.